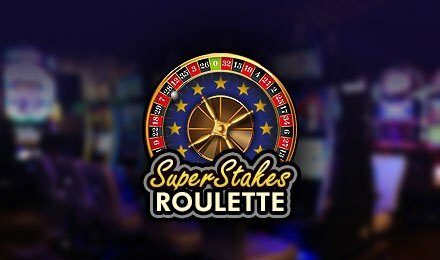 Join the table of Super Stakes Roulette anytime at Moon Games using either a tablet, a laptop or a mobile phone. This latest creation of Section 8 comes with many settings like personalised customisation of the table colour, modes and sounds! If you like classic music, you better let the sounds on to enjoy the atmosphere of land-based casinos. Whenever you’re ready, choose your numbers and let the game begin. You can choose to bet on any numbers which range from 0 to 36. You can stake on single numbers or a range of them, depending on your preferences - you can choose inside or outside bets as well. When your stake has been placed, the ball will spin on the wheel to land on any of the 37 numbers. It may even be the one you betted on! This game also consists of the autoplay option - this lets you pre-select a number of games to play on their own, without any disturbances. Bet Levels: This game does not come with bet levels. Amount of Paylines Selection: No lines are available and the game is played on a roulette table. Coin Values: You can select chip values which vary from 5 to 500. The minimum stake is £5 while the maximum is £500.